The grandeur of the house astonished but could not console her. The rooms were too large for her to move in with ease; whatever she touched she expected to injure, and she crept about in constant terror of something or other; often retreating towards her own chamber to cry; and the little girl who was spoken of in the drawing-room when she left it at night, as seeming so desirably sensible of her peculiar good fortune, ended every day’s sorrows by sobbing herself to sleep. Gradually, she manages to overcome her discomfort, largely owing to the friendship and support of Edmund, the younger of her two male cousins, and if her two female cousins Maria and Julia secretly still see her as a poor relation, they are kind enough to her face. Mansfield Park marks another enjoyable visit to the early nineteenth century, with the action split between the grand country estate of the title and the coastal city of Portsmouth, where the main character returns for a visit to her family. Much of the attraction of the book lies, of course, in knowing that it’ll all end in a wedding, but it’s not just about the romances. Austen uses her work to take a close look at society and behaviour, and at how what should be done is often very far from what actually happens, with scandals often the end result. There are echoes of other silly old Austen women here, and Mrs. Norris is the epitome of a selfish old crone, a panto villain if ever there was one. She suffers from what she sees as inappropriacies, such as the play most of the young people work on during Sir Thomas’s absence, and when there’s fun to be had, she is more likely to be retiring to her room than joining in. It’s obvious, though, that Fanny is made of better stuff than her cousins and their friends. Quite apart from her becoming more attractive as she grows up, there’s a core to her that is worth far more than the superficial knowledge mastered by Maria and Julia, and several characters, mainly the men, eventually see that. 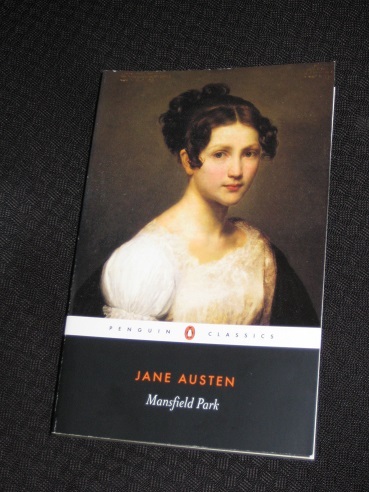 Mansfield Park is in part a story of pressure, and standing up to it, with Fanny forced not only to put up with her cousins’ condescension and Aunt Norris’ barely concealed jealousy, but also the constant attacks on her sense of what is right. With the head of the household gone, morals start to slip, and our heroine is the only one who continues to behave according to her own principles, and not those of the people around her. In many ways, then, this is a more subtle, and impressive, work than some of Austen’s more famous books, but it can be a struggle to warm to. Fanny herself is hard to like and comes across as a prig, an overly moralistic young woman with a fear of any kind of fun (and the fact that she’s eventually right doesn’t make her any less annoying). This is a very different age, and while her Christian moralising and reticence to speak up may have been appropriate for Austen’s contemporaries, twenty-first century readers might think rather differently. I actually hoped she’d be wrong with her choices, proven to be a little misguided like Emma Wodehouse or Elizabeth Bennet – sadly, she’s right, and the book is a little greyer for it. Her best and richest novel, in my opinion, precisely because it is the coolest and least ingratiating. I want books to be of their times, not ours, which is why (I’m going to step into it here) I simply do not get all the fuss about “outdated” attitudes. For example, of course colonial novels were racist to greater or lesser degree. What would one honestly expect? Expressing shock or disapproval over this is just virtue signaling, in my opinion. People say they want more expressions of “The Other” in literature. I don’t disagree. Well, the past is the biggest Other there is.